We aim to deliver your order right away. We will normally send your order to you within 7 business days. International orders are generally received in under 9 days. However, please allow up to 24 days for delivery as our products are hand made to order for you. Sometimes we may be able to despatch items within 24 hrs of receipt of order if items are in stock but this is not always possible. 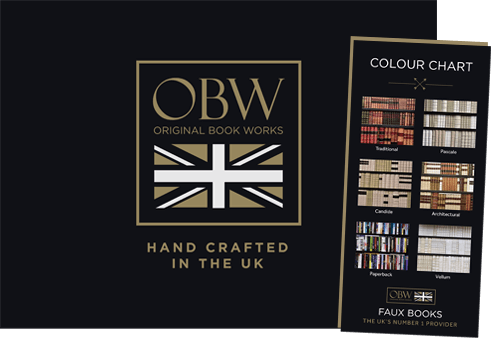 If your order is urgent – for a birthday or specific date, please email sales@originalbooks.net or call +44 (0) 1285 641 664 and we will let you know if we are able to meet your requirements. We use a courier delivery service – usually UPS or Interlink. Both services require goods to be signed for. Please leave a telephone number and bear this in mind when giving us a delivery address or advise us if you need a phone call or email to arrange a convenient delivery day / destination to accommodate this security requirement. Small orders less than 2kgs may be sent by First class post. Our charges reflect the price we have to pay for items to be sent to you either within the UK or overseas as requested. Within the UK we charge £5.50 for each delivery. The delivery charge remains at a total of £5.50 regardless of the number of items purchased. For the European countries where we have an arrangement with our courier companies please see table below. For other destinations, please contact us by email before ordering.